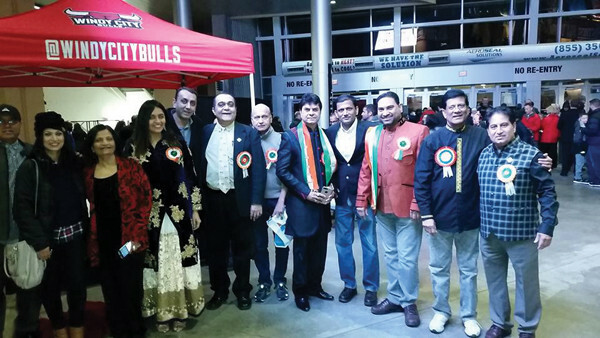 Officials of one of the two existing Federation of Indian Associations at the Indian cultural show in Sears Arena in Hoffman Estates Jan. 6 when Windy City Bulls, the official NBA D-League affiliate of the Chicago Bulls opened its basketball game with the Indian and U.S. national anthems. 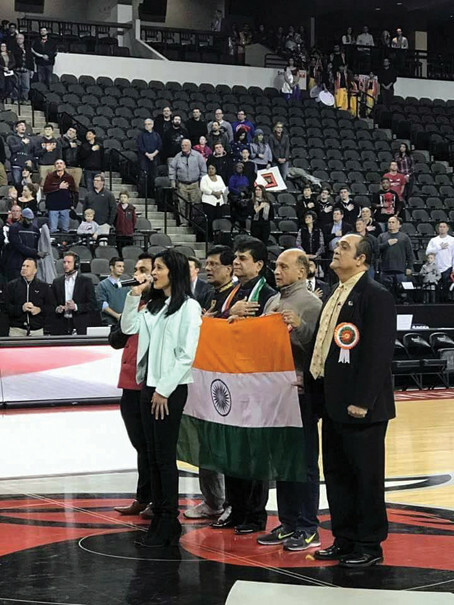 Indian Culture was showcased at Sears Arena Center in Hoffman Estates Jan. 6 when Windy City Bulls, the official NBA D-League affiliate of the Chicago Bulls opened its basketball game with the Indian anthem followed by U.S national song and Indian dance show four times during the game. 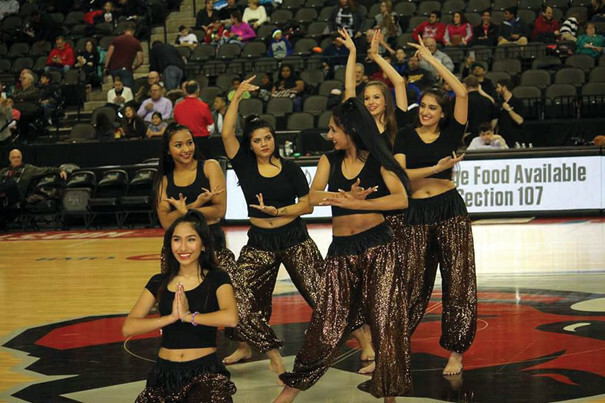 The cultural show, organized by the Federation of Indian Associations, headed by Sunil Shah, its founder president who conceived the project, was a memorable event, particularly for Indian-American spectators. “With this type of program, we are going to mainstream platform to project Indian heritage,” said Shah. 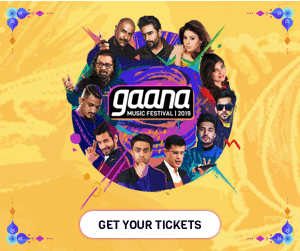 Mukesh Shah, the current president, noted that over two dozen local artists illuminated the indoor stadium and stole the hearts of the 2,000 plus crowd,. The game opened with the Indian and American national anthems sung by Rehana Haque and Shubha Vedula, respectively. Chicago Bulls’ General Manager, Gar Forman, was also in the house. “This was a real honor for all of us,” added Shah. The artists who performed included Neela Bahel, Shaila Bahel, Krisha Thakkar, Gurman Kaler, Shakti Santosh, Ria Kumar and Aanya Patel. FIA is grateful to all the members of the FIA executive board for helping the organization to achieve this goal, said Onkar Singh Sangha. 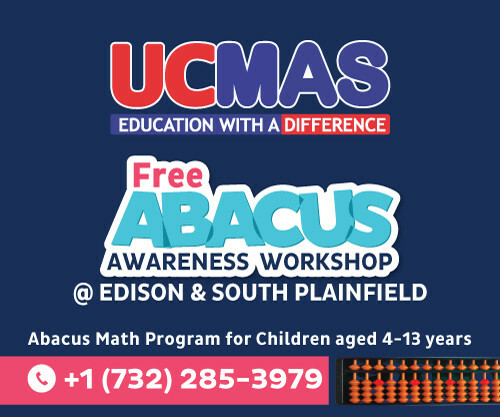 The FIA, headed by Shah, is hosting a gala event when it celebrates India’s Republic Day Jan. 28 at Meadows Club, Rolling Meadows, Ill.